The superstars are taking their talents to the big screen. Rihanna (Photo by Pascal Le Segretain/Getty Images) aand writer/director/actor Donald Glover (Photo by Kevin Winter/Getty Images) are up to something in Cuba. 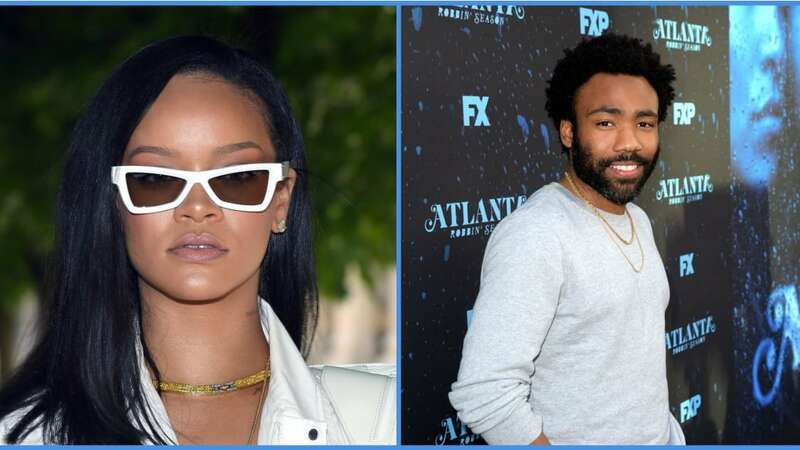 Donald Glover finally shared a sneak peek of the mysterious film he’s starring in with Rihanna and we can’t wait to learn more about the flick, Guava Island. Glover shared the trailer for the movie that also features Black Panther star, Letitia Wright and is directed by Hiro Murai over the weekend during his stint at his three-day music and virtual reality festival, PHAROS, in Auckland, New Zealand. In the trailer, Glover’s character seems to highlight what the movie will be about. There’s not a ton of info on the project as of yet, but we’re able to gather that Rihanna plays Glover’s character’s partner in the film. We also catch a glimpse of Letitia Wright and Nonso Anozie, but no word on how their roles tie in to the bigger picture. What exactly is going on between Rihanna and Donald Glover? Could this flick be more like a super long music video? Fans will have to wait and see.